I wasn't going to order any new roses this year. I really wasn't! 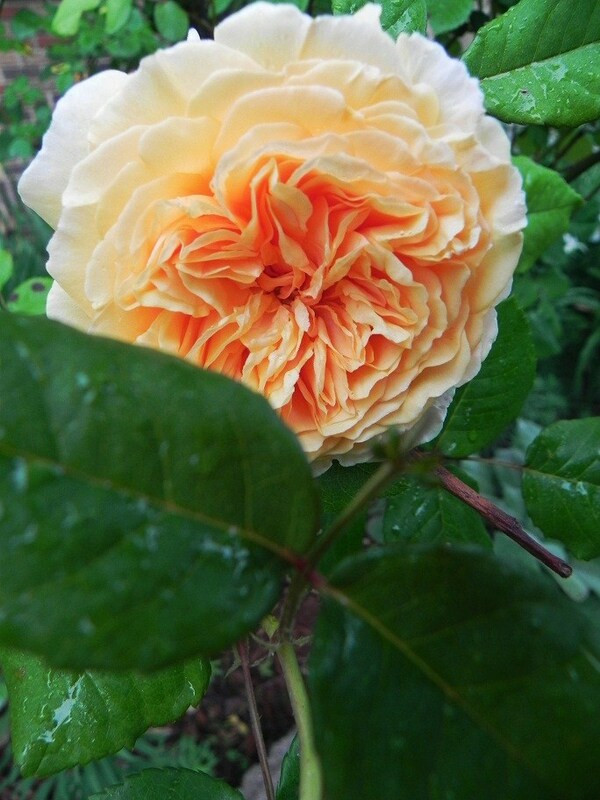 I still have 'Abraham Darby', 'Jaune Desprez', 'Veilchenblau', and 'Rosette Delizy' in pots, waiting to be planted. Look at the new rose 'Lady of Shalott' from David Austin though! My colors! How could I resist? I couldn't. 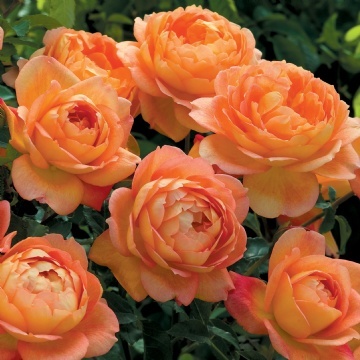 That wouldn't be so bad, but I also have 'Eden' (another climber I have no idea where to plant) and another 'Clementina Carbonieri' (perhaps my favorite rose) on hold at Long Ago Roses. OK, so that's just two more. Not so bad. Something happened to me last night though. (I don't even remember how it started. Isn't that how all addictions go?) I decided I had to have 'Souv. de Victor Hugo', 'Marie van Houtte', and 'Mons. Tillier'. (don't you just love antique rose names?) So I ordered those from Roses Unlimited. Of course, I have no idea where I'm going to plant them. And I'm on the verge of writing back and adding 'Mutabilis' to my order. Oh well, Happy May Day to me. Here is a beautiful David Austin rose I do have already in my garden. I need to update my rose master list soon. Here's a great page by Peter Beales about antique tea roses. p.s. I have fishy (and snakey) tales to tell soon!